The sudden death of an Indian-origin girl in Dubai recently sparked off a wire of disease suspicion, and led to a local investigation by the health authorities. The girl’s sudden death, after reporting high fever and nausea, has further led to the fear among the residents- of (her) suffering from meningitis. 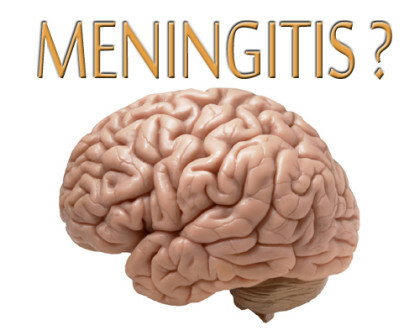 However, the matter is currently under probe, and any indication of meningitis has been denied so far. The girl was the daughter of a banker in Kerala. The young girl had reportedly developed high fever accompanied with nausea before she was officially taken to a local medical facility. The girl’s family initially suspected it to be a case of a normal viral flu and only decided to take her to the said medical after her body temperature was considerably high. The young Indian-origin girl died on Monday — a day after developing high fever and nausea. According to her friend, the girl developed high fever and vomiting on Sunday and her family, suspecting it to be a normal viral flu, rushed her to a doctor who prescribed her medicine, Emirates 24|7 news reported. “By noon, the temperature came down, but it again spiked in the evening, with the child complaining of body ache,” the friend said. Her father, a banker from Kerala, took her to a medical facility in Dubai but she died during treatment, the friend added. The doctors suspected meningitis as the cause of her death. In a statement on Thursday, the Dubai Health Authority (DHA), however, ruled out meningitis as the cause of death. It said the reason for the sudden death of the young girl was currently under investigation by the heath authorities to determine what exactly went wrong. The statement also sought to reassure residents that there were no cases of meningitis disease in Dubai.